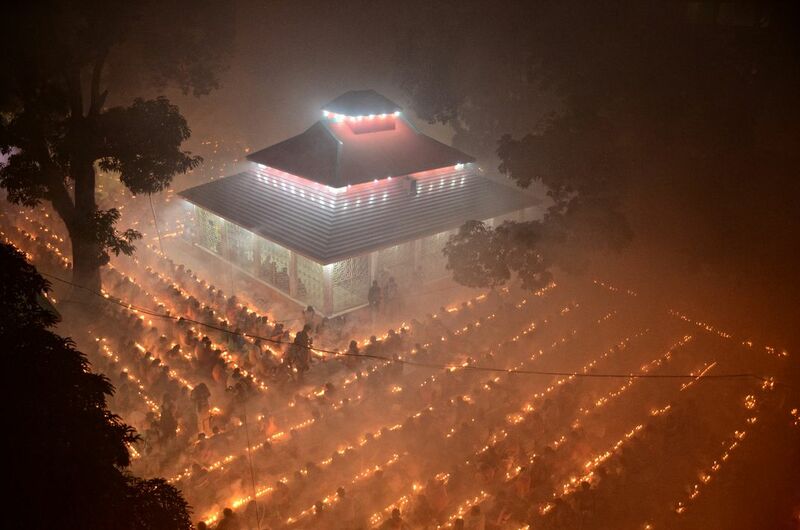 Thousands of Hindu devotees gather at Shri Shri Lokenath Brahmachari Ashram temple for the Kartik Brati or Rakher Upobash religious festival in Barodi, Near Dhaka, Bangladesh. Devotees sit in front of candles light pray to God save their family and dear from cholera and pox disease. Lokenath Brahmachari who is called Baba Lokenath was an 18th Century Hindu saint and philosopher in Bengal. Hindu worshippers fast and pray in earnest to the gods for their favors during the traditional ritual called Kartik Brati. Date Uploaded: Nov. 29, 2018, 1:50 p.m.